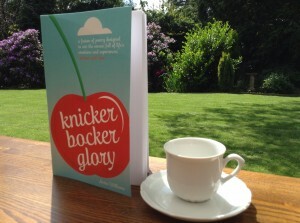 Knickerbocker Glory, a wonderful poetry gift. ***** Bravo! 5.0 out of 5 stars 7th May 2014 By Jo Format:Kindle Edition|: “love poetry and this made my day. Witty and thought provoking. Easy to pick up and be drawn in to the moment! look forward to enjoying the next editions”. ***** Knickerbocker Glory 5.0 out of 5 stars By Nanny pom pom Format: Ibooks ” a miscellany of poetry with something for everyone. The author has the ability to focus in fine detail on facets of every day life which most of us take for granted. Highlighting such things as the colourful vibrancy of the marketplace….to a day in the life of a park bench. The book is beautifully illustrated. This entry was posted in Apple iBook Edition Books, Available on Amazon, Books for sale, Kindle Edition Books, Knickerbocker Glory Poetry Book, Poems, Poetry Books and tagged beach read, fun poetry, gift, good book for vacation, great gift, holiday read, poetry gem, read, short poems by Writtenwithasmile. Bookmark the permalink. Next → Next post: Cox and Rowers!